It’s been 11 years’ worth of dominant displays from two drivers named Sebastien in the World Rally Championship, and some might say the glory days of the motorsport are long gone. However, we’d like to say that, as a spectator sport, the spirit of rallying never goes away. This week sees the start of the 2015 season at the infamous opener, the Monte Carlo Rally, and we’d like to celebrate by taking a look at the top five rally cars that created the sprit of the competition over the 42 years it’s been in existence. These vehicles have not only been driven at the hands of champions, but also defined eras of the sport over the last four decades and are largely looked upon as icons of rallying, as well as personal favourites of this author. Let’s get the obvious out of the way, shall we; the Audi Quattro for some is the epitome of rallying and one of the biggest stars of rally history. The original competition car arrived in the 1980 season, firstly as a development car and then as a true competitor later that year; unlike future Group B cars, the Quattro was based heavily on the road-going version and produced power in the region of 300bhp. 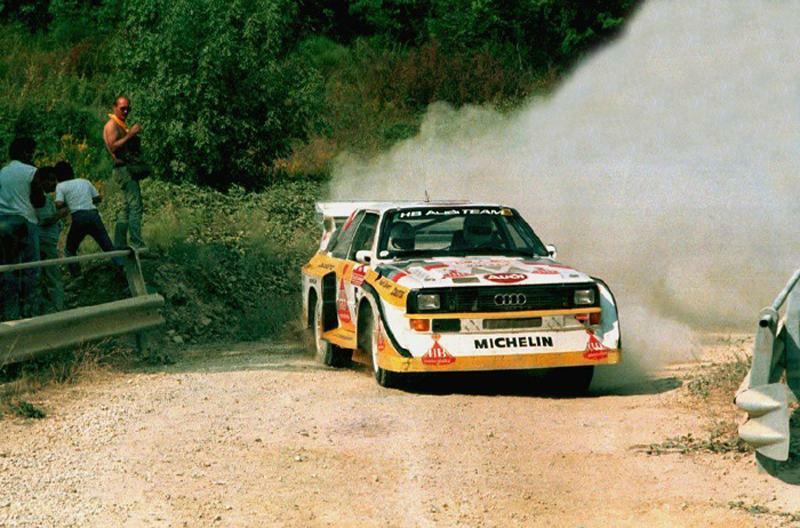 The Quattro evolved into the A1 and A2 guises after the inception of Group B, starting with the former in 1983 and was an immediate success in the hands of Finnish racer Hannu Mikkola who won both the Swedish and Portuguese rally events on the way to winning the Drivers’ Championship. The following year saw Swede Stig Blomqvist, joined by Mikkola and Walter Rohrl, take the title in the A2 evolution after the car won five rallies in the ’84 season. Perhaps the most visually-stunning incarnation of the Audi Quattro was the S1 E2, but it unfortunately didn’t enjoy the same amount of success as those before it, despite featuring an inline five-cylinder engine that had a rather potent 470bhp and a strikingly distinctive bodykit that was utilised for added downforce. The S1 required just 3.1sec to get to 62mph from standstill, while some of the cars were fitted with the ‘power shift gearbox’ which can be seen as a forerunner to the current DSG transmission. 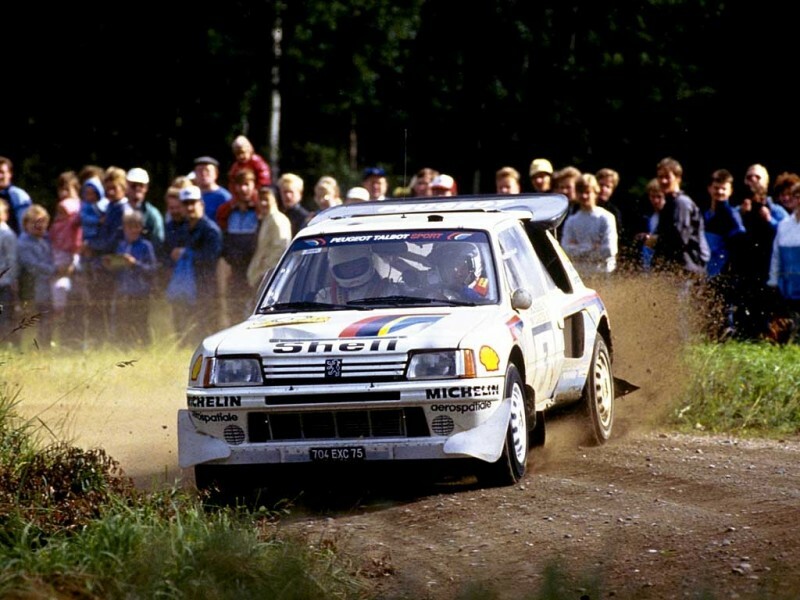 Following the formation of Peugeot Sport in 1981, former rally co-driver and future FIA President, Jean Todt, was tasked with creating a car that could take on the world rally field and as a result conjured the Peugeot 205 Turbo 16 that made its debut in 1984, piloted by flying-Finn Ari Vatanen. Immediately tackling the dizzying heights of Group B, the 205 Turbo 16 was powered by a four-cylinder 1.8-litre powerhouse delivering around 350bhp. The car took three victories in its maiden season under Vatanen; however, the following two years would see the car at its most successful, with Vatanen and compatriot Timo Salonen taking seven victories in 85 and saw the latter take the Drivers’ title in the 205 Turbo 16-2. The T16-2 had up to 200bhp more than its predecessor with its turbo operating at 3.0 bar and won six races in ’86 to allow Juha Kankkunen claim his first of two straight Drivers’ Championships, the second being in a Lancia and our next car in the list. Group B racing came to a bitter end in 1986 after it was deemed too dangerous following the tragic crash in Corsica that killed both driver Henri Toivonen and his co-driver Sergio Cresto. In its place emerged the much safer Group A formula, which in regards to success, was initially bad news for Lancia who had found to be rather adept in the previous discipline. The Delta HF 4WD used in the 1987 season suffered from undersized brakes, restrictive wheel arches and limited suspension travel. However, Finnish driver Kankkunen raced to the title, and with his two teammates, won seven of the 11 rounds that year and marked the beginning of a trio of World Championships for the Italian manufacturer. The Delta Integrale came onto the scene in ’88 and immediately impressed, winning the first two events of the season and truly began to dominate after the introduction of a new six-speed gearbox following the third round in Portugal and won 10 of the season’s 11 events, with Italian Massimo Biasion taking the Drivers’ crown. 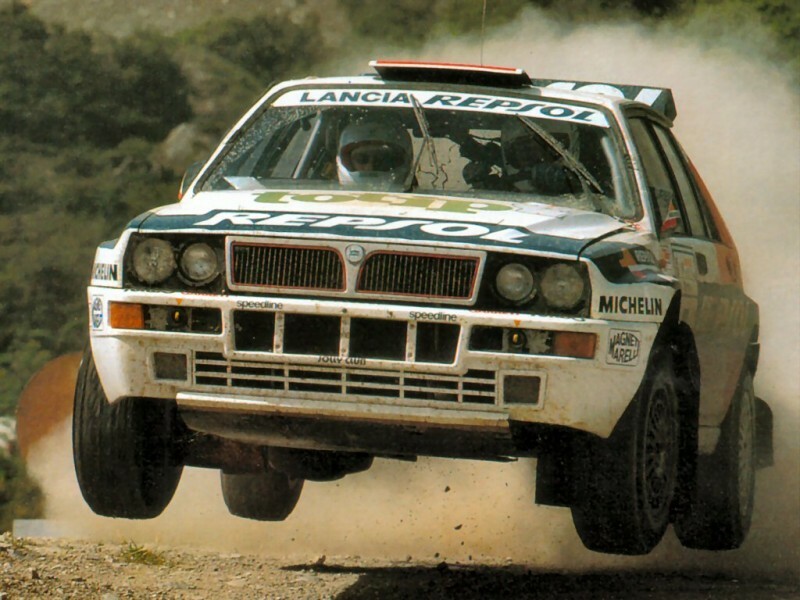 The following season was a little tougher for Lancia and its Delta, thanks to the likes of Toyota’s Celica GT-Four shaking up the competition, but Biasion still took the title, thanks largely to the introduction of the Delta Integrale 16v at the ’89 Rallye Sanremo. The Toyota took the Championship at the beginning of the new decade, but on his return to the team, Kankkunen captured his third and penultimate Drivers’ title in an evolved version of the new car, eventually fighting off the fight from the Celica and achieving Lancia’s record fifth Manufacturer’s Championship. A sixth was added in ’92, but Toyota took the first of a hat-trick of Driver’s titles and Lancia never returned to the top step of the championship. It’s admittedly cruel not to include the Toyota Celica at this point with its Lancia-conquering ways very well documented, but a combination of both personal desire and assumed fan power sees the truly iconic Subaru Impreza make its introduction into our top five rally cars. 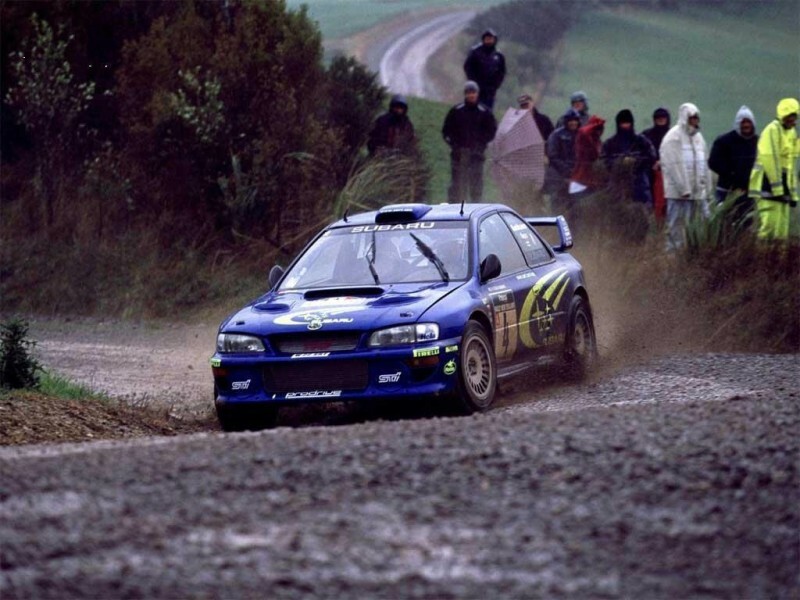 The Japanese manufacturer had entered the WRC before the Impreza in the larger Legacy, but with its rivals switching to smaller, more compact chassis, Subaru brought in the more agile model in 1993 and enjoyed immediate delight after attaining third place in its debut event in Finland. Also in his first full year of the WRC was young Scot Colin McRae, who had taken his first win in the formula in the soon to be retired Group A Legacy in New Zealand, with Finnish trio Ari Vatanen, Hannu Mikkola and Markku Alen as his teammates in the newly-formed Subaru World Rally Team. Marked in its distinguished blue bodywork and yellow livery, the Subaru Impreza 555 car of 1995 came about in a year fraught with regulation changes that would see engines receive less air, reducing the cars’ power significantly. 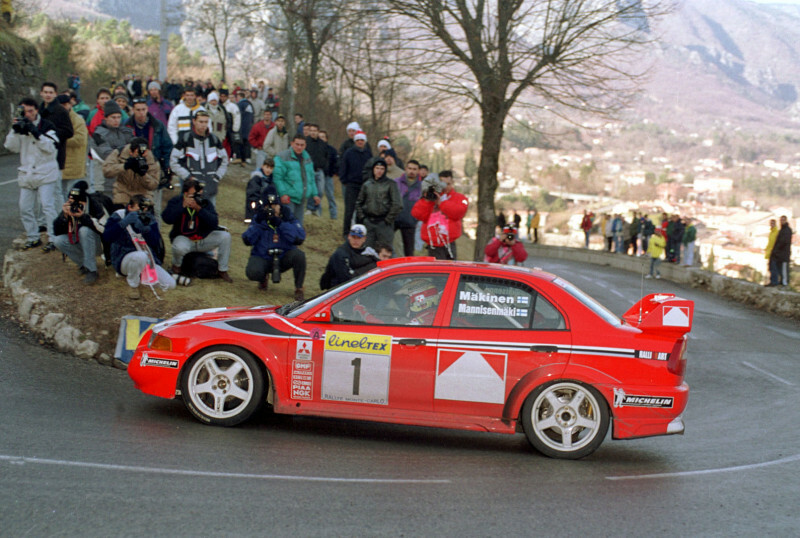 As a result, the Impreza’s engine was rebuilt for ’95 to get the best possible power output from the car, and it worked for a time; Carlos Sainz, who had joined the team the year before, won the opening round in Monte Carlo, but the season’s second event in Sweden saw all three Imprezas suffer engine blowouts. This was rectified quickly and Subaru got back to winning ways in Portugal, and McRae, overcoming a poor start to the season, took two wins and three more podiums to become the youngest and first British World Rally Champion. 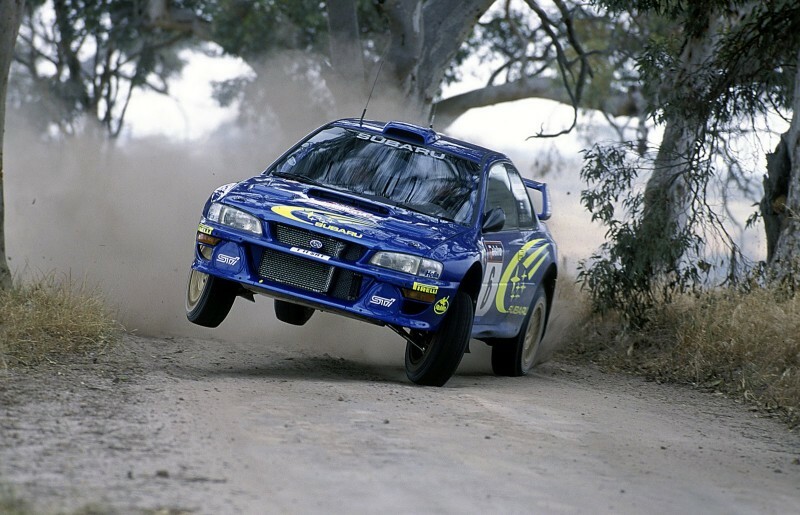 The ’95 season also marked the first of three consecutive Manufacturers’ titles for Subaru, before Richard Burns become the next British champion in 2001 in the Impreza WRC. Norwegian Petter Solberg took the crown two years later in an evolution of Burns’ car and was the last champion before Sebastien Loeb went on his nine-year winning streak. Though you might expect Loeb’s Citroen Xsara or C4 complete this list, I’ve always felt the Frenchman’s time at the top was always more about the man than the car and so personal preference now takes over to put my favourite ever WRC car in the final spot – the ‘Evo’. What was then a record, Tommi Makinen – another fast Finn – won four Drivers’ titles in a row between 1996 and 1999 in various guises of the Lancer Evolution, with a Manufacturers’ crown in there for good measure thanks to help from Richard Burns. Probably the most famous of Makinen’s cars was the Evo VI in his final Championship-winning year, a stunning piece of kit that was immortalised in the Mitsubishi Lancer Evolution VI Tommi Makinen Edition, a car that I still long for. The last of a truly supreme breed of cars, the Evo VI was one of the final cars Mitsubishi homologated for public purchase. The rally version had a claimed 300bhp, although this was likely to be slightly down on the actual figure; combining this with a weight of around 1,260kg saw the Evo VI do a 0-62mph sprint in a rapid 3.1sec and made for one of the most agile rally cars of a generation now defunct and one that I do miss massively. Rallye Monte-Carlo runs 22-25 January.